Do you want to sharpen your gambling skills? 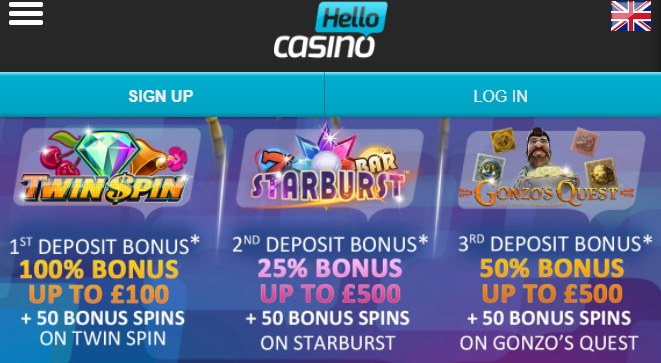 Access Hello Casino and claim this rewarding bonus! Log in, deposit at least £10, and you will receive a 25% match up to £500 plus 50 Spins. The money can be used for any game you want. The extra rounds, however, work only on Starburst. Do your best to win and don’t forget to enjoy your time! Wager the bonus and deposit amount 35 times prior to any withdrawals. Remember that deposit made with Neteller and Skrill are not valid for this offer. Get your hands on this bonus now and enhance your experience!